A few years ago, I made a Facebook (FB) friend who is one of the sweetest FB friends I have to this day. While I cherish so many of my online relationships, it’s nice to meet fellow authors who are so supportive and always have something sweet to share. I’m so honored to know her and introduce to some (announce to others her latest work) to those who love Christian fiction. Be blessed! The oldest of the Danjuma brothers, Rasheed was a self-made man. He’d learned at an early age that love and commitment brought with it complications he didn’t want to deal with. His single-minded focus had paid off. He was able to step into the shoes of his absentee father by taking care of his mother and twin brothers. But just when he thought he could stop carrying the weight of his family on his shoulders, he gets a call that could change the trajectory of Rasheed’s life. Ibiso Jaja, a professional caterer, had gambled on the love of a man and lost. Through the redeeming love of God, she had picked herself up and was now living her dream as the owner of Bisso Bites, a bistro in the heart of Abuja. However circumstances conspire to threaten the bistro and bring her face to face with the type of man she has vowed to avoid. The attraction is instant. Once again, Rasheed is forced to do something he has done all his life – put the needs of his family ahead of his own. This time however, he crosses path with the sassy, independent, Jesus-loving caterer who is bent on making him see the power of forgiveness and God’s love. Just when Rasheed lets his guard down, a deadly sabotage causes old demons to rise. Will Rasheed continue to pursue power and success or surrender to the light of God’s love? 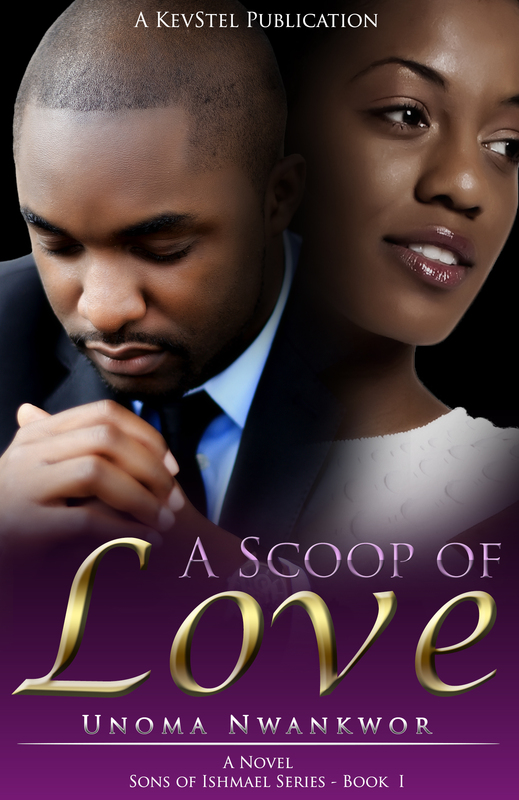 About the Author: Unoma Nwankwor is a self- proclaimed romantic. She is passionate about telling stories that are uplifting and life changing sending the message of faith, hope and love. Her readers are in love with her unique way of telling stories that capture the essence of her present home base; Atlanta Georgia and her Nigerian culture. Her stories which center on forgiveness, faith and hope have been described as a fusion of faith, romance and African spice. 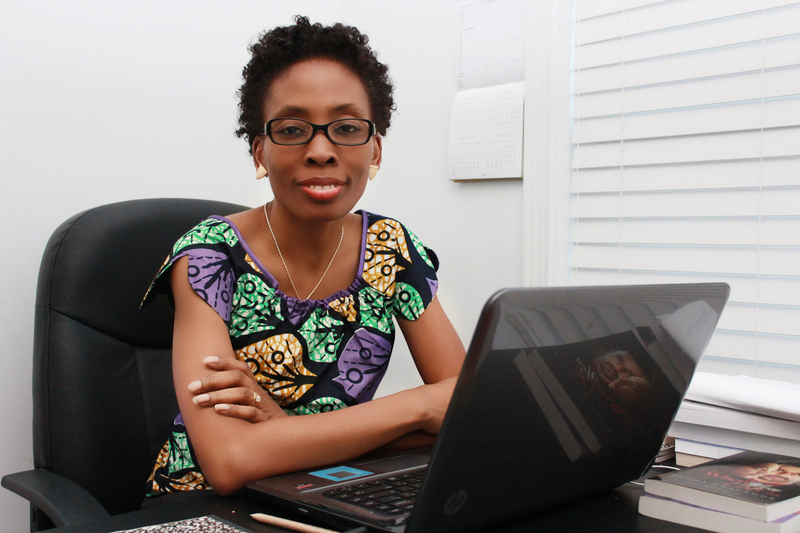 Unoma is also the published author of An Unexpected Blessing (2013) , The Christmas Ultimatum(2013) and When You Let Go (May,2014). In a nutshell, a writing coach is like a physical trainer. They don’t do the work for you, but they can help you through the process. 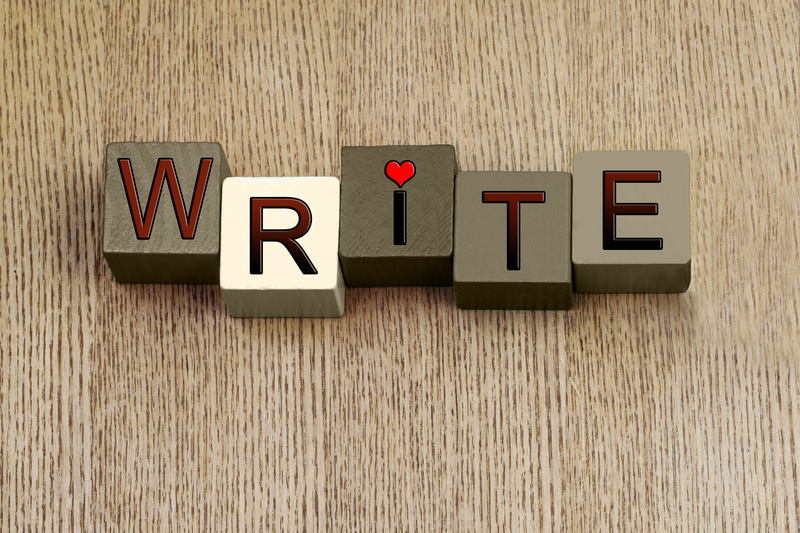 A writing coach offers guidance through the developmental process. He or she will help you outline your book and plan the chapters. After defining the scope of your book, you and your coach will decide upon a calendar. Every week or so (depending on what you two decide), you’ll send a chapter to your coach via email. The coach will give feedback on each chapter. You’ll move forward through each chapter of the book with your coach’s input and a sense of accountability along the way. Some coaches provide other services, but this is the basic gist of what writing coaches do and how one can help you reach your writing goals. For the record, I am NOT a writing coach. I don’t use a writing coach, but I know authors who have used writing coaches, particularly for their first book or two. The writing coaches I know well are all booked up for now, but you can send me an email if you’d like their contact info. If you’re a writing coach or if you know if a good writing coach, please feel free to post your contact info. in the comments! My first experience with a critique group came at the home of award-winning, seasoned author Lena Nelson Dooley (thanks, Lena!). Here’s how it worked: One evening each week, we met and circled up in her living room on chairs and couches—sometimes as few as 5, as many as 12 or so. Whoever had something to read (up to 10 pages double-spaced) read their work aloud. Everyone listened and followed along (if that person brought copies for everyone to read). Lena commented first, then everyone else went around the circle adding their two cents. Some of the comments were praise, most were suggestions for improvement, all were helpful. Even if I didn’t bring a chapter, I learned so much by listening to the other writers’ work as well as the following critique. We all wrote Christian fiction or non-fiction. Most were members of the local ACFW chapter, but some were personally invited. Several of us who used to go to Lena’s formed a smaller group, closer in proximity. It’s been absolutely amazing to celebrate the achievements of the group. Since we’ve been meeting, 3 have signed multi-contract deals with major publishers and several have self-published with amazing success. 4) In my current group, we don’t bring physical copies of our work. We send it via email ahead of time. Everyone makes their comments through Microsoft’s reviewing options. We send the comments back to the author via email after having our conversations. 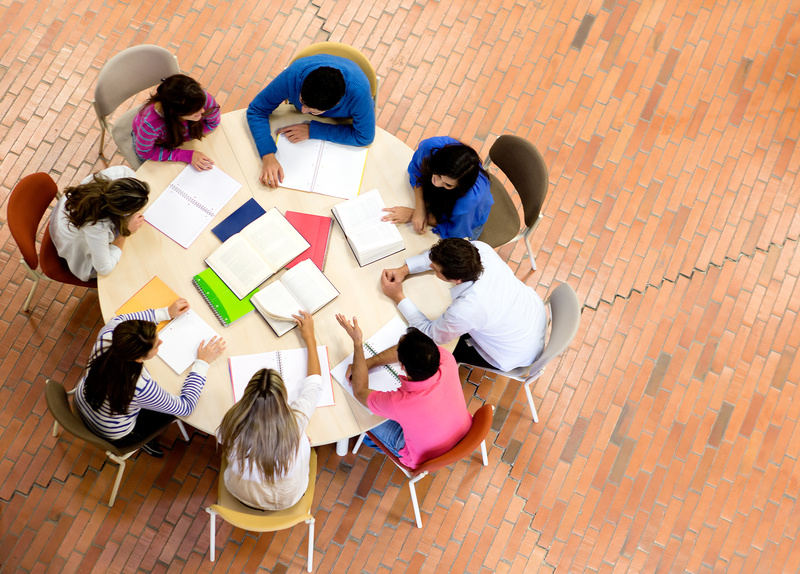 If you’re not the one for meeting face-to-face or one-on-one coaching, you might consider virtual support groups (Google hangouts, FB groups, etc.). Any more ideas for how to collaborate with others to finish your work? Please post in the comments! Are you multi-talented? Do you have, like, a TON of things you can do well? Don’t worry. You’re not alone. I’m a firm believer that if you’re faithful with your gifts, you get the chance to use even more (Luke 12:48). An artist is always thinking of ways to express creativity. When I break between projects, I pick up little fun things that keep my creative juices flowing. 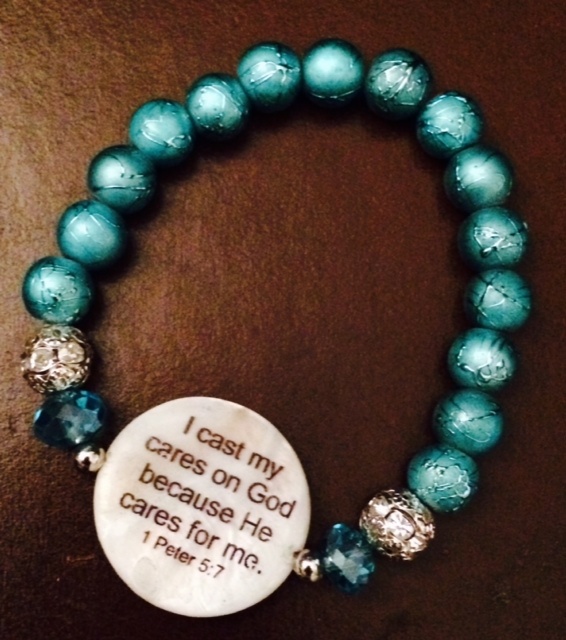 Scripture Bracelets – I started making these in 2006 to keep the word in my face constantly. Later, my daughter and I started making these. It was a bonding activity for us. However, when she turned 16 she got a “real” job that paid more than Momma. Now, I just make them when I get the chance. Acting – In the last few months, I’ve received 2 invitations to make cameo appearances in plays. I’m in! Drawing – I drew this one of my daughter when she was 2 years old. 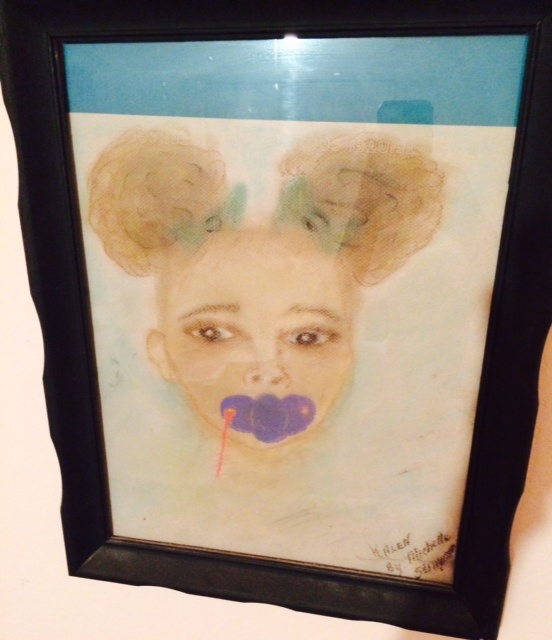 I can’t draw mouths well, so I put a pacifier in her mouth. Hey – it worked. She always had the binky in her mouth anyway! Exercise Video – When I tell people about my exercise video that only consists of words and music, they crack up! Who needs somebody on the screen if you already know the moves in your head? 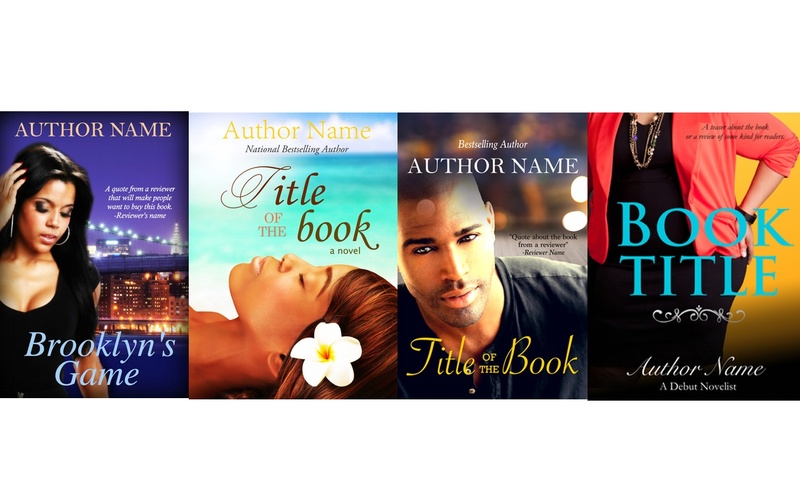 Creating Book Covers – I dabbled in this last year and actually sold several of my pre-made designs. What I’ve learned, however, is that I’m really not that good at custom designs yet. It’s far too time-consuming for me at this point in my development. I think I still have 2 more that I’ve agreed to do, but I gotta slow down and perfect some things for now. By the way, these pre-made covers are available for $50 each! Email (stimpson.michelle at gmail.com) me if you want one! What about you? 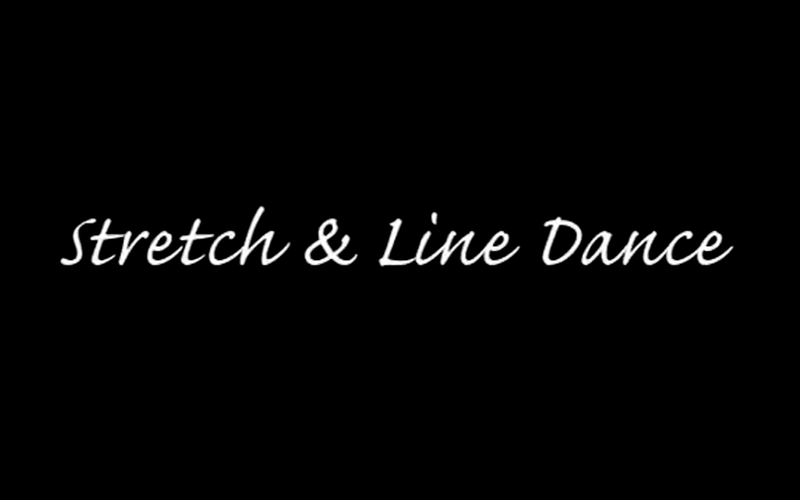 How do you scratch that creative itch? Last Day Free on Kindle ! Hard at work on growing his church, Pastor Mark never realized that his own household was falling apart. Now a scandal threatens everything he stands for and has worked so hard to achieve. Together, can he and his wife learn to forgive? From a national bestselling author. Every writer I know has several ideas floating around in their heads. Sometimes, these ideas and characters keep me up throughout the night. One of the benefits of being in a critique group, teaching writing classes, and communicating with other writers online is that I get to bounce ideas around before I start writing. In a spirit of collaboration, I’d like to hear your thoughts about these ideas and hear some ideas you’ve got bouncing around, too! Hope – She’s a typical “Superwoman” who’s in love with a guy who has been stringing her along for the longest time. When he finally told her had something really important to ask her, she thought he was going to pop the question. Unfortunately, the “big question” was a request to borrow money. I got that idea from watching an episode of Judge Mathis. It was hilarious but sad. I think I’m gonna do a series with Hope eventually. Rev. Brown – He’s a man who was married multiple times in the past. He has 3 daughters from those relationships (3 different mothers). He’s a changed man in Christ and he’s trying to reconcile with his daughters, but it’s not easy. The daughters are also struggling through life because they have Daddy issues. This idea is not necessarily “new” but I’ve been studying the orphan spirit in preparation for exploring this topic deeply through fiction. Not sure when it will happen, but it’s on my heart. A Mean Prophetess – I’m still trying to figure out if she really is mean or if that’s what people think of her because she does what Old Testament prophets do—she warns people before destruction and they don’t like it. I still have to research this, though, because I’m not sure what New Testament prophets are called to do. Is it different now that believers have the Holy Spirit to teach us? How can she warn people without condemning them? Is she really a prophet or is she just a mean, judgmental person who needs to learn humility underneath that title? Mama B # 6 – I think I’d like to see Mama B and Frank on a cruise or in some place other than their house. I’ve been thinking about making Mama B a sleuth (which is what happened with her Caucasian quasi-counterpart, Miss Julia), but I have to read up on that series to study the transition. Blotted – this is a different genre (Fantasy? Sci-fi? Adventure?) This book is about teen who knows whose name has been blotted out of the Book of Life. I’ve got a few chapters already. My son liked it. This is his genre, so I’ll probably finish it soon, but I don’t think it will end up being a short story. I still need to find out if there’s a difference between the Book of Life and the Lamb’s Book of Life in scripture. Historical Fiction – this one will probably be a short story, too. Late 1800s. 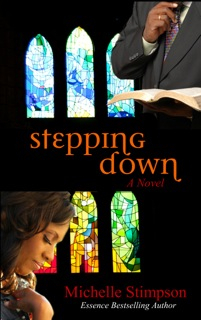 An African-American girl who’s who is in training to become a midwife but she doesn’t want this destiny. Something goes wrong during the birth of a white woman’s baby…that’s where the trouble starts. This will probably be a short story, too. Deon Jackson – this is an 8-year-old boy who has ADHD. The family dynamics change when his grandfather (who has Alzheimer’s) come to live with them. My son didn’t like it. But Tia McCollors’s son is reading my first few chapters to let me know if it’s remotely interesting. 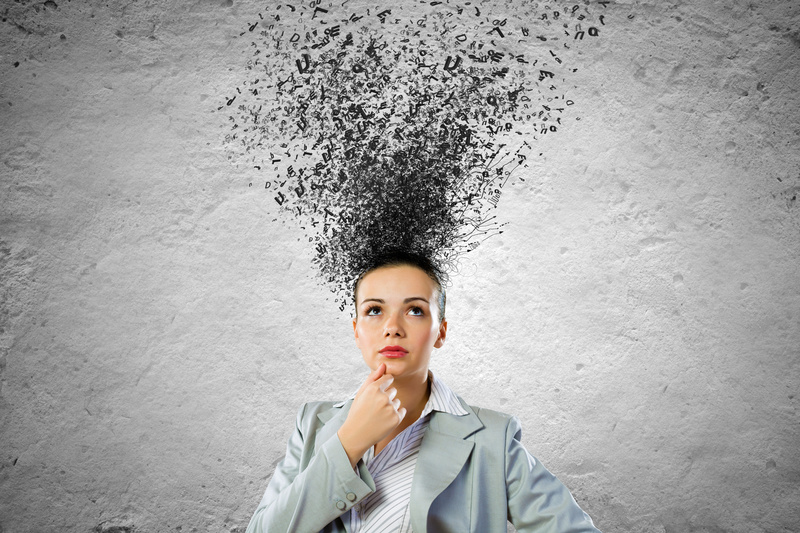 So…which idea piques your interest? Any suggestions? Are you a writer, too? Who’s dancing around in your head? For YEARS, I have been resistant to blogging. I’ve even blogged about how much I don’t blog very often because I just don’t have the time. 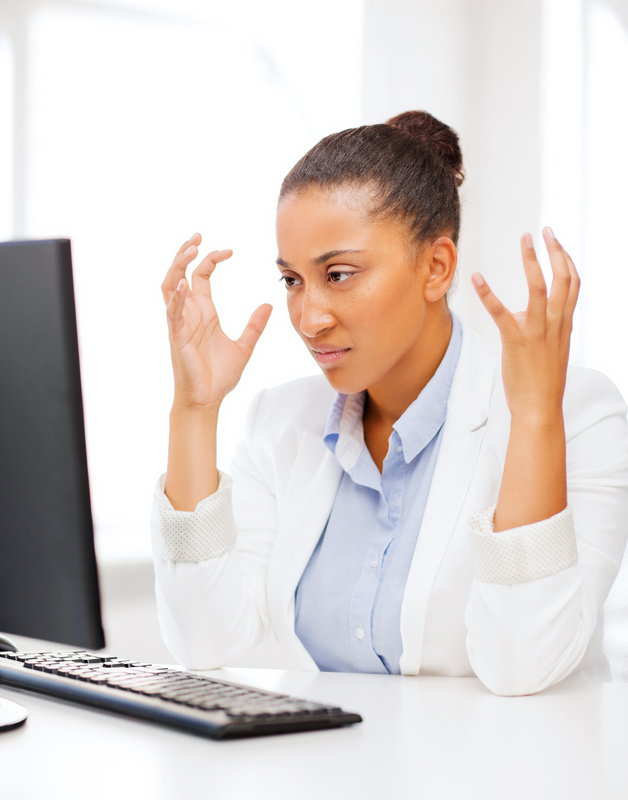 But last week, after reading a blogger’s recap of her typical day, I caught the blogging bug. I mean, I really, really caught it. 7:30 am – Wake up but stay in bed. Change the channel from ESPN to TBN. Listen to Joyce Meyer, Creflo Dollar, John Hagee and Joseph Prince while dozing in and out. 9:30 am – Get up, get dressed, eat breakfast. Replay episodes of ministers (from above) that I really wanted to listen to closely while I’m getting dressed. Stretch or maybe exercise for a little bit while listening. 10:15am – Go to the prayer closet. Read, study the Word, journal, pray. 1:00 pm – Eat lunch. 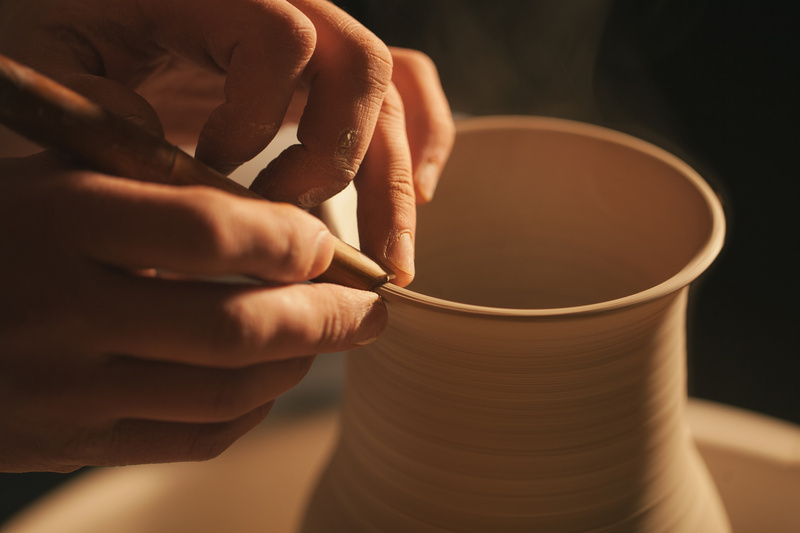 5:00 pm – Housework, listen to podcasts or other material that grows me professionally or spiritually. Eat. 7:30 pm – Break. Watch TV with my husband while he unwinds. He likes reality TV shows or sports. I don’t like either of those, but I do what I have to do. 11:00 pm – Update daily sales chart. 11:15 – Call it a night. Pack my husband’s lunch. Go to bed. Following this schedule, I’ll get anywhere from 1500-2000 words of fiction written daily. I answer email messages and phone calls as well as post on social media throughout the day. My husband is also home some days and may work at different times, so there’s some variety. Sometimes I go to bed around 11:30 pm, sometimes I stay up until after midnight to write if I’m really on a roll or under a deadline. On those nights, I look like this video. So, tell me…is this what you thought the writing life was like? If you’re an artist, what’s your typical day like?